The Deep Rough | How to Save Money on Irons – Buy Used! In the current economic climate, we’re all looking to save a buck wherever we can. The days of being carefree with our cash are in the rear view mirror. Do we really need to be shelling out $1000 for a set of irons today? Are the latest and greatest sets today worth the huge jump in price over irons released only a couple years ago? We will leave that up to you to decide, but today we will have a look back at some irons we reviewed in the past and give you some current pricing information. We think a lot of these sets offer an amazing value and a ton of technology. If you are playing a set of clubs that really need to be replaced, but have been hesitant to pull the trigger based on the cost of a new set…this might be a good option for you. Are you a high handicapper? Struggle to break 100? Or are you shooting in the 90s, looking for a way to add a lot of forgiveness to your iron game? The Super-Game Imprvoement line of irons may be right for you. One thing to keep in mind with irons in this class, you are generally looking at clubs with very wide soles that sacrifice a lot in the feel department. If you are not worried about working the ball or playability in a variety of lies…and just want to hit the ball high and straight, these most definitely will work for you. Here are a couple sets of irons to help get your game on track. With a wide sole and a chunky back side, the Sumo won’t be turning the heads of any club pros. Nonetheless, put one of these sticks in your hands and unless your swing is all over the place, it will be hard to not hit the ball straight and very long. While we were not huge fans of the feel off the face, the performance is hard to dispute. Given that these clubs can be found on ebay for $150, if you are playing an old set of unforgiving cavity backs or blades…looking to instantly add some forgiveness to your game, the Sumo is not a bad option. 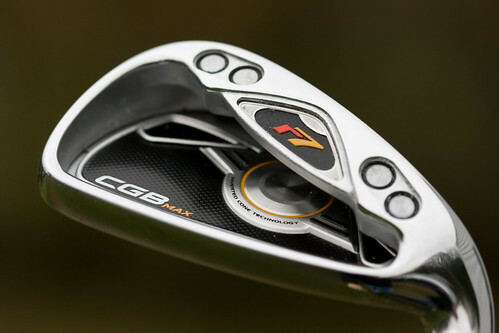 The CGB Max irons offer a slightly more narrow sole than some of the other Super-Game Improvement irons we have listed here, but they still offer a ton of forgiveness. So, if you are looking for something a little more playable, while hitting the ball high and straight, have a look at the 2008 R7 CGB Max irons from TaylorMade. These clubs topped the Maltby Playability Factor list the year it was introduced, which speaks volumes about the forgiveness and playability of this particular set of clubs. It is widely (no pun intended) known to be a super easy to hit iron that hits the ball real long and very straight. Now if the Fusion Wide Soles are still too much for you, maybe you just have trouble hitting traditional irons? Do you love your hybrids? Check out these Cleveland Hibore Irons, they are stupid simple to hit and Cleveland has managed to integrate hybrid type technology all the way down to a pitching wedge! They can be had for under $200 now, so they could be worth a shot! Are you a mid handicapper, shooting in the 80s and 90s? Want some help on those thin, fat…toe shots? Game Improvement is the way to go. In this class of club, you’re looking at a mix between getting a good amount of forgiveness, while retaining some playability and feel. 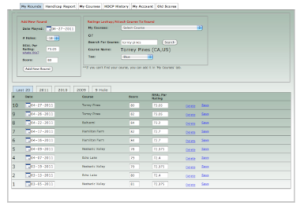 This is also a great option for a low handicapper who just doesn’t have time to work on the game as much anymore. 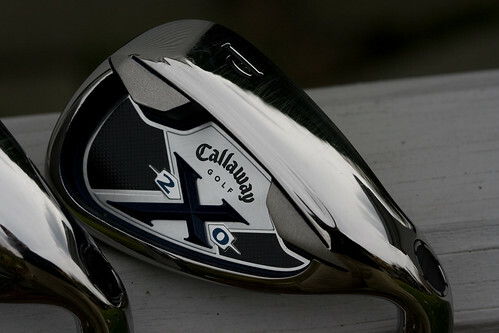 The Callaway X-20s continued to improve the amazing X line of irons Callaway puts out. We really loved playing the X-20s, as they are very forgiving but retain a lot of playability. I did not notice a huge difference between the X-20s and X-22s. So if you have been considering the X-22s, why not a used set of X-20s? The RAC OS2 is a classic in the game improvement category and probably one of the most popular iron sets out there. What does that mean for you? There are a lot of used sets to be found out there, which means, they are super cheap! I played this set for a year when they first came out, and they really like to fly high, long and straight. Here we are getting a little closer to the Player Iron class, but the MX-23 is a very forgiving, easy to play iron that also offers some of that legendary Mizuno feel. I played these irons for about two years and broke 80 for the first time with a set of these clubs. I ended up selling them on ebay and replacing them with a set of Mizuno MP-33 blades. I played the MP-33 blades for a while, but these days I leave them mostly for practice (and let me tell you, if you want to work on your swing at the range, MP-33…great club to use while trying to groove the swing). 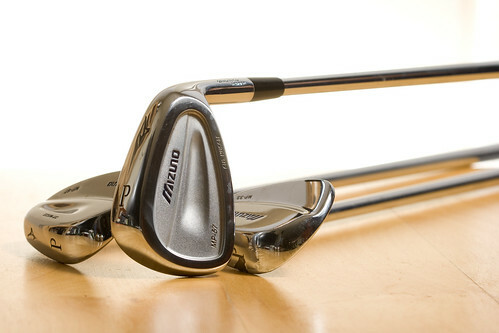 If you have been a long time reader of The Deep Rough you know our love affair with Mizuno irons. The Mizuno MP-57 irons are a great set of irons for a low teens to single digit handicapper or someone looking to improve their swing. 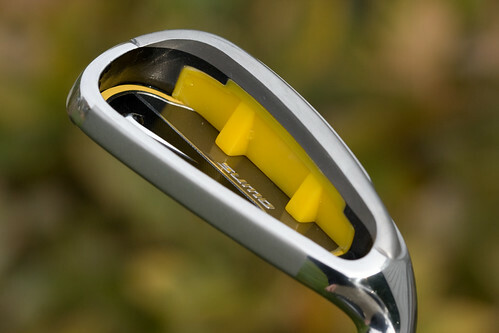 We fell in love with the buttery soft feel of a well struck Mizuno iron. If you have not experienced it, picking up a set off ebay is a great option. 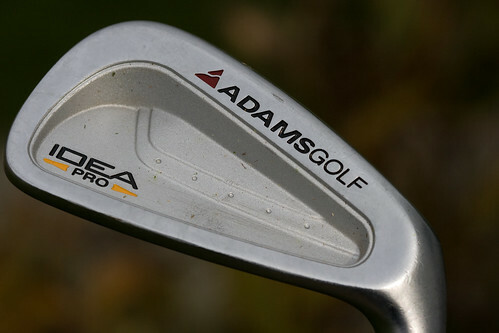 Similar to the Adams Idea Pro Gold Irons we reviewed not long ago, the original forged Adams Idea Pro irons are still being used by a few players on the Champions Tour and the LPGA. A solid forged feel and some sweet hitting hybrids make for a huge upgrade for someone stuck with some beat up cavity backs from the 80s. 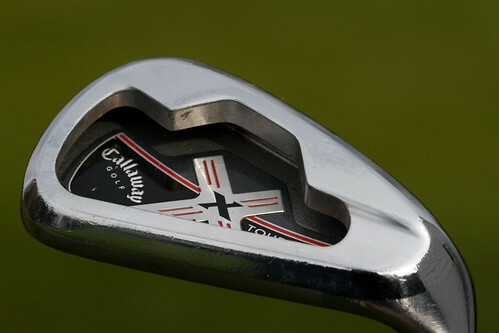 A lot of PGA Tour staffers swore by the Callaway X-Tour irons for years. They were Callaway’s first real entry into a forged iron market. No, they do not have the same kind of feel as the Mizuno or Adams irons listed above, but where you sacrifice a little feel, you gain a little more performance. The X-Tour irons have a compact head size (for Callaway) and a very playable sole. The top line may prove to be a little on the thick side for some golfers, but overall we really like the X-Tours. Given that these clubs once sold for over $1000, given that some sets are under $200 on ebay right now…you’re looking at quite a steal. One great thing to keep in mind is that with a used set of clubs like this, especially off ebay, if you take the clubs to the range or out on the course and find out that you really do not care for them, you can always go and resell them again. The price will most likely not change much at this point, they have already been ‘driven off the lot’. Just don’t go smashing the 5 iron into a huge rock!